While it is important to tell the story of your company, less focus should be placed on accomplishments and more should be focused towards what the business does. Make sure to include information on how the company was founded, the core values of the business, and what motivates you. This is the place to show off your personality and have fun, so avoid generic corporate talk. According to 3M Corporation, 90% of information transmitted to the brain is visual, and visuals are processed 60,000 times faster than text. In order to make a good first impression, compose shorter paragraphs, use headlines appropriately, organize with bullet points, and incorporate photos and videos. This isn’t the time or place for a complete autobiography. Your “Who We Are” page should be concise and generally under 400 words. Most individuals do not have the time or patience to read large text blocks, especially on a mobile device. A great way to cut down on the amount of content is through providing links to publications where achievements are mentioned. One of the most costly mistakes that a business can make on their website is leaving out their contact information. At the very least, this page should include an email address, phone number, and social media handles. If visitors have additional questions or concerns, they are going to seek out contact resources to find out more about products and services. 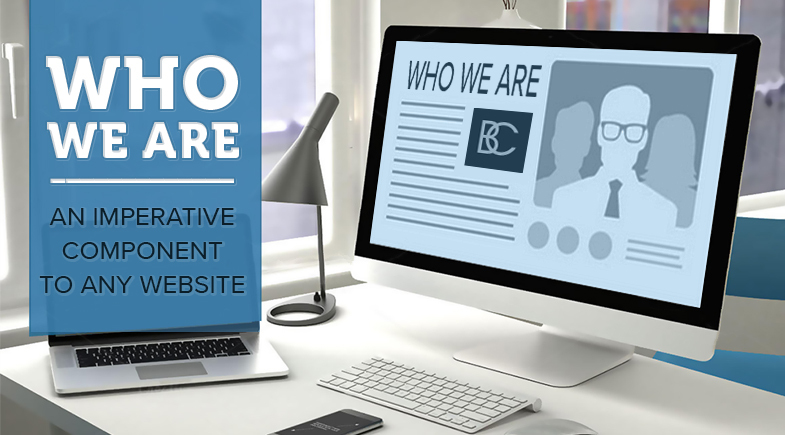 Brian Cozzi, Inc. has a team dedicated to both website design and development, ensuring that your site is aligned perfectly with your business goals. If you are looking to revamp or create a new website for your company, contact us to learn more about your options.